Hotel Alla Posta dei Donini. Ginkgo Spa. Alla Posta dei Donini. In the picture the stylish Ginkgo Spa wellness center, set in a quiet corner of the Villa, architecturally designed to make visitors feel relaxed in intimacy. Hotel Alla Posta dei Donini. Bedroom with frescoed ceiling. Alla Posta dei Donini. The bedroom of the most prestigious historic residence. The ceiling, attributed to the school of Francesco Appiani, frescoed with architectural elements, floral elements and parts of the sky with angels. 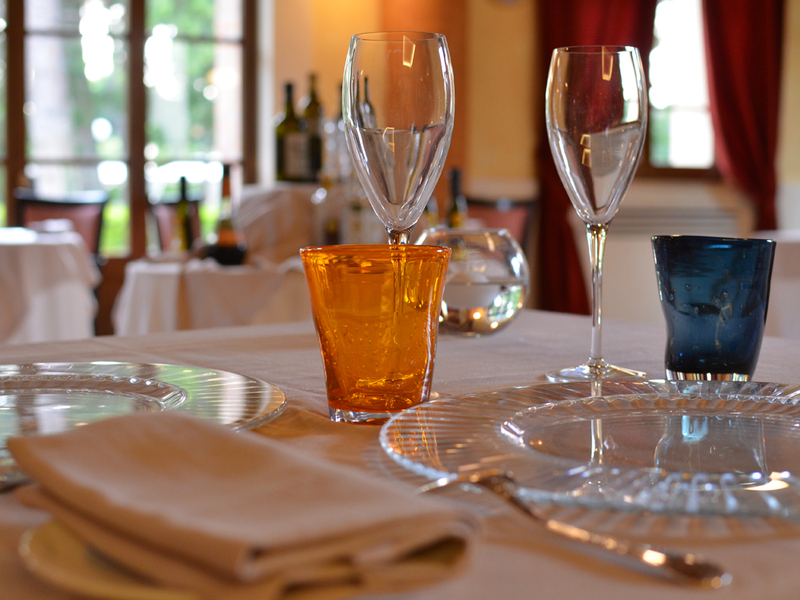 The room was once the dining room of Donini. Hotel Alla Posta dei Donini. Bathroom. Alla Posta dei Donini. In the image, a bathroom. The rooms are of various types and the element that unites them is the attention for detail and elegance in the furnishings. Hotel Alla Posta dei Donini. Room of the Giuli. Alla Posta dei Donini. Room of the Giuli. On the ground floor there are five rooms whose ceilings were painted in the first and second half of the nineteenth century. Hotel Alla Posta dei Donini. Alcove room. Alla Posta dei Donini. Alcove room. 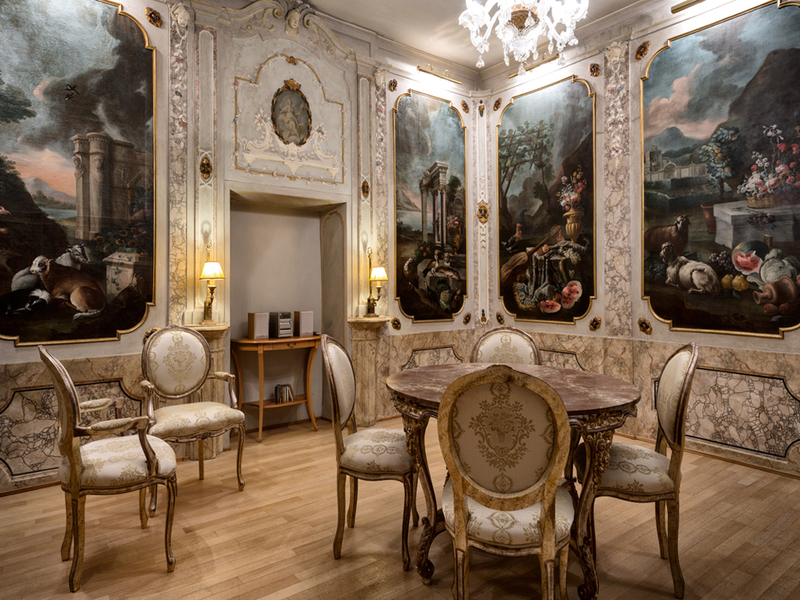 The main floor, renovated in the mid-eighteenth century, still retains the classic row of lounges fitted with doors and paintings by Nicola Giuli in 1780. Hotel Alla Posta dei Donini. The eighteenth-century chapel. Alla Posta dei Donini. In the image the eighteenth century chapel. Inside the church is a magnificent altarpiece, oil on canvas, representing St. Philip Blacks and the Madonna, painted by the school of Francesco Appiani. Hotel Alla Posta dei Donini. The lobby. Alla Posta dei Donini. The lobby, in the image, embellished with furniture of the eighteenth and nineteenth centuries, the fine fabric lounges, refined Murano chandeliers, terracotta floors and ceramics of Deruta. Hotel Alla Posta dei Donini, Pantagruel restaurant. Hotel Alla Posta dei Donini. Eighteenth-century terracotta pots. Alla Posta dei Donini. 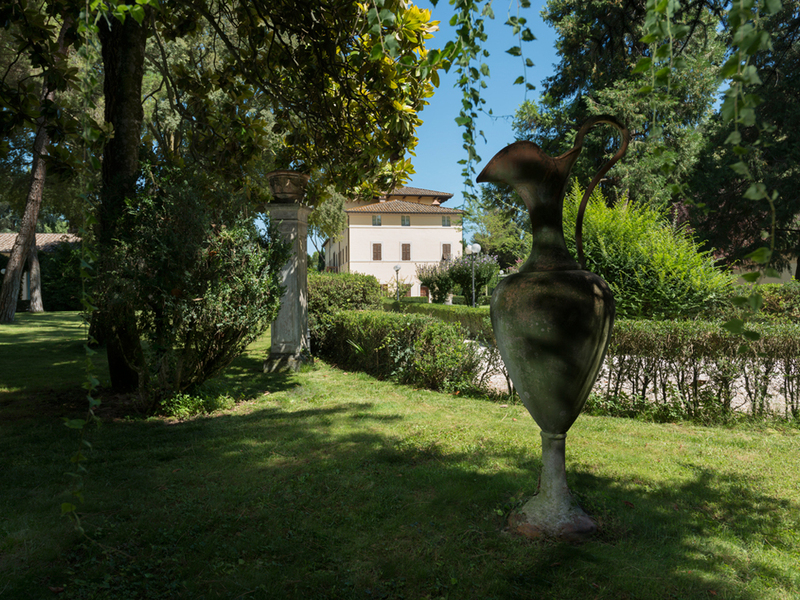 Opposite the main entrance of the villa are located six vessels, of the eighteenth century, terracotta. Hotel Alla Posta dei Donini. Etruscan urns cinerie. Alla Posta dei Donini. historical and archaeological finds, such as the Etruscan urns (in the picture) dating from the third century B.C. Hotel Alla Posta dei Donini. Ginkgo Biloba. Alla Posta dei Donini. 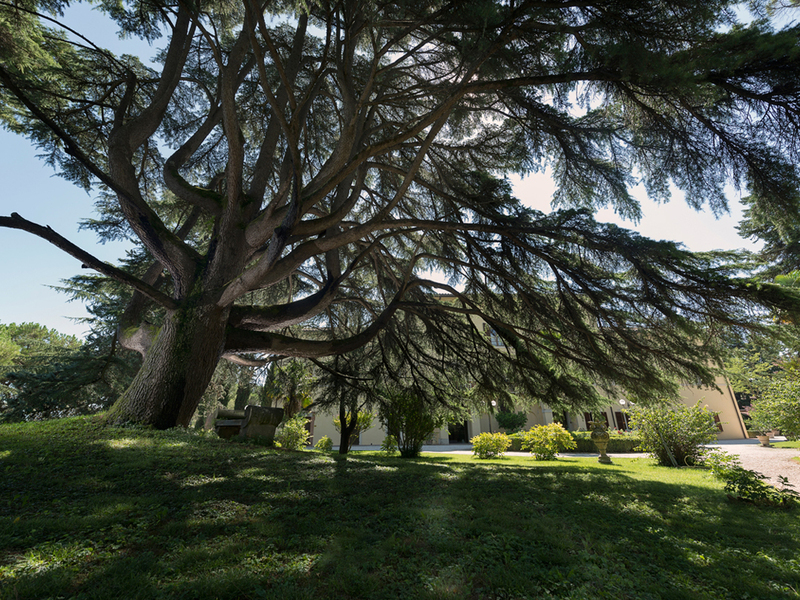 Inside the park is the majestic Ginkgo Biloba two hundred and fifty years old, and an impressive cedar of Lebanon more than three hundred years old. Hotel Alla Posta dei Donini. Main entrance. Alla Posta dei Donini. Main entrance. 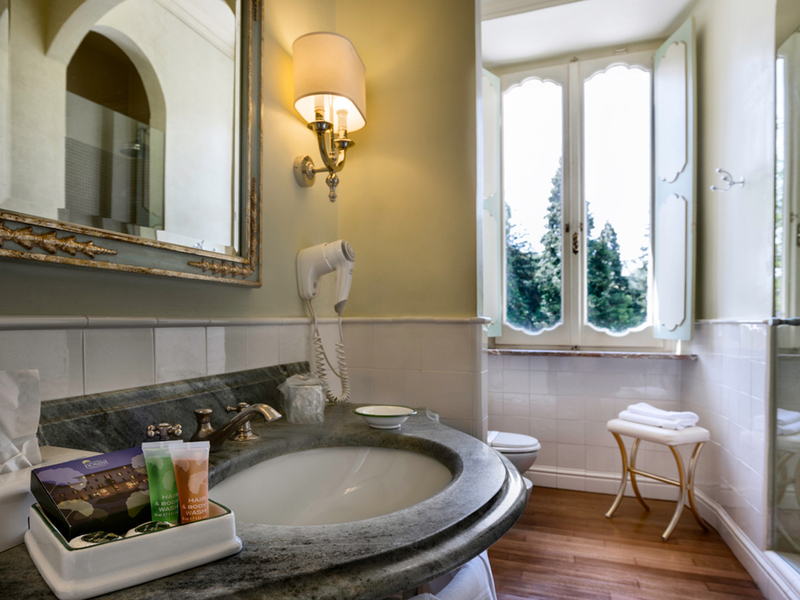 The property consists of two houses: Villa Costanza and Villa Laura, plus the caretaker's house, transformed into a la carte restaurant with the name Pantagruel. Classified as a historic home is constrained by the Superintendence for Cultural Heritage. Hotel Alla Posta dei Donini. The entrance to the villa and the park. Alla Posta dei Donini. An elegant "Italian garden", seventeenth century, welcomes guests. Behind the Villa a "romantic forest", little caves in stone, walkways and bridges that cross a secular holm-oak wood which features an oak with four hundred years. Hotel Alla Posta dei Donini. An overview of the accommodation. Alla Posta dei Donini. An overview of the accommodation. The time is marked by the sounds of nature. 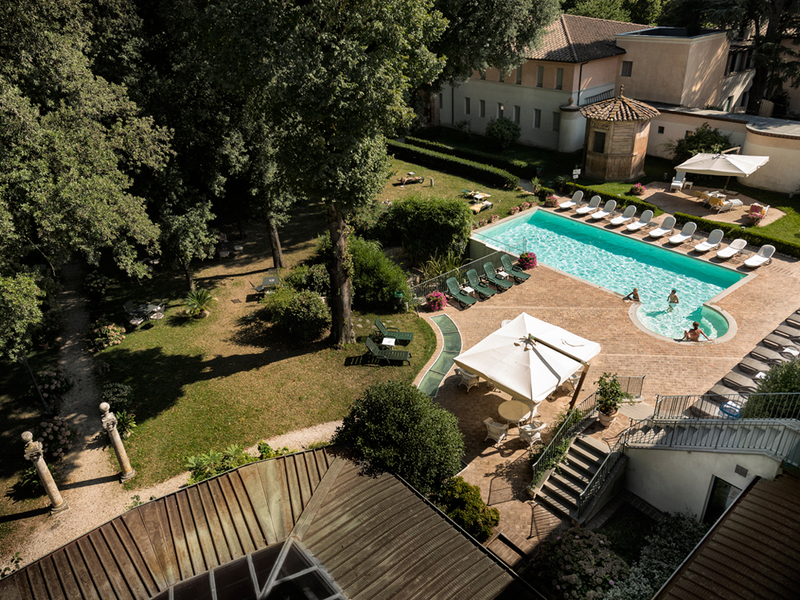 In the heart of Umbria in San Martino in Campo, Perugia. Outdoor area with swimming pool. An image of the outside of the property with the pool in the foreground. The Umbrian landscape is a succession of plains, valleys, plateaus and mountain chains. 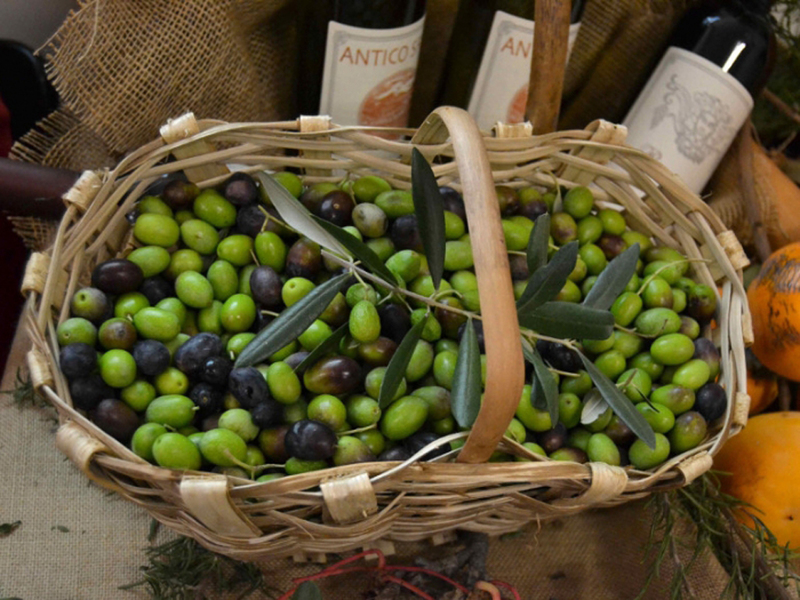 Umbria is the “heart” of Italy, the region that the world envies for the unquestionable natural beauty, art, culture, cuisine, traditions, history. 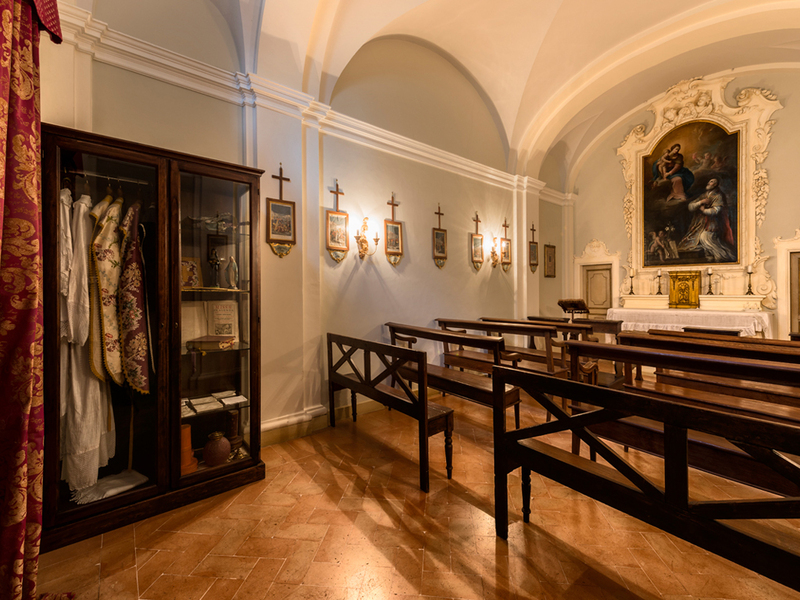 Cradle of the spirit, the home of St. Francis and St. Clare houses the Benedictine and Franciscan monasteries, basilicas and churches everywhere welcome and console. Inspiration for architects and artists who generously left us the testimony of a still tangible and alive Renaissance. 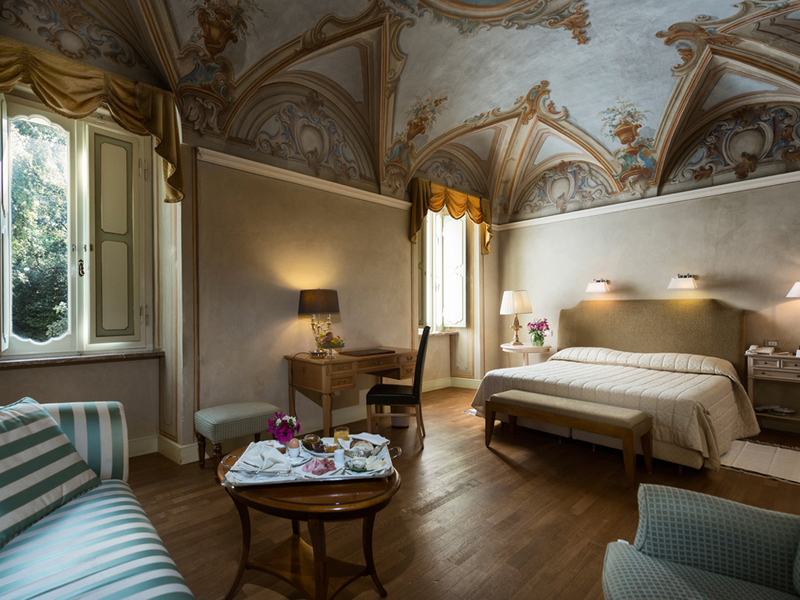 In this framework of creative magnificence, the story takes place in the residence which now houses the hotel Alla Posta dei Donini. The family of Donini Conti, of Venetian origins, moved from Tuscany to Umbria between the late sixteenth and early seventeenth century deciding to build in San Martino in Campo, a town between Perugia and Assisi, his summer residence. 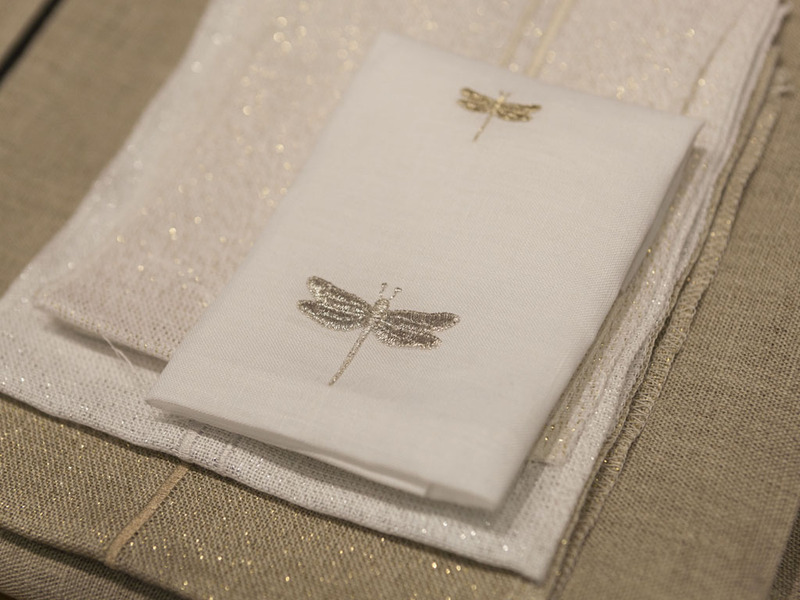 At the same time it started the breeding of silkworms for the production of fine brocade and velvet. Prestigious activity, which places the family among the wealthiest and most influential of Umbria of the eighteenth century. 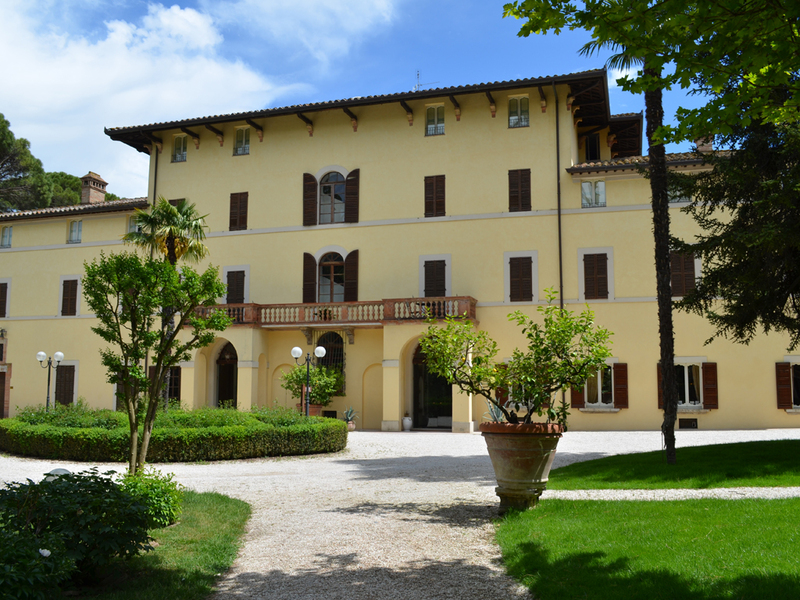 During the construction of Palazzo Donini in Perugia, now the headquarters of the Umbria Region, they were made important works for the embellishment and modernization of the villa which also involved the main floor. The surface, consisting of a row of classic lounges, was ennobled by the intervention of famous painters of the school of Francesco Appiani and Nicola Giuli of whom you can also recognize a series of painted canvas dated 1780. In the hall, created for concerts, walls are lined with paintings by the school of Appiani. It is also attributed to him the Altar of the shovel, oil on canvas, in the eighteenth century chapel – representing San Filippo Blacks and Madonna – and the frescoed ceiling with architectural elements, floral decorations and stretches of sky with angels in what once was the dining room of Donini. A very charming place transformed today in the the most prestigious bedroom of the residence. In the five rooms on the ground floor, the ceilings were painted between the beginning and the end of the nineteenth century. 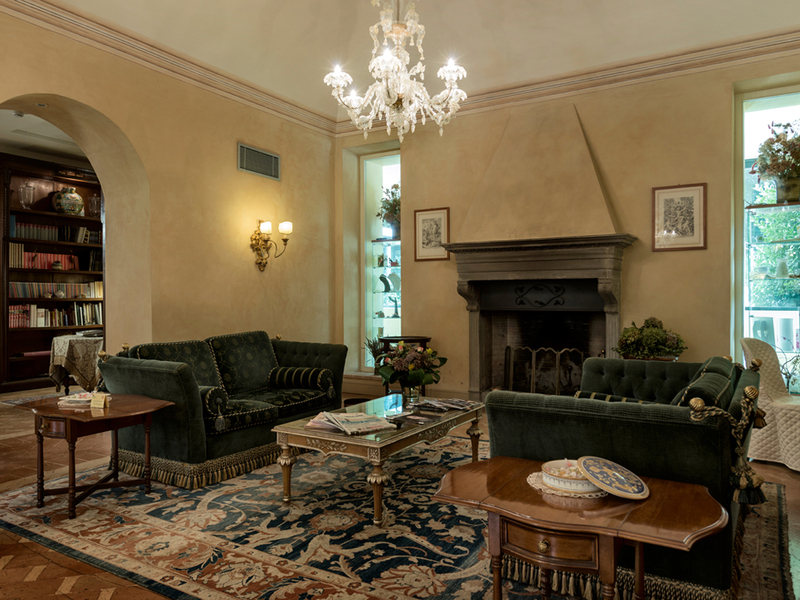 In the lobby: lounges in fine fabric, furniture of the eighteenth and nineteenth century, Murano glass chandeliers, terracotta floors and Deruta ceramics, immediately introduce the visitor to the style of the house. 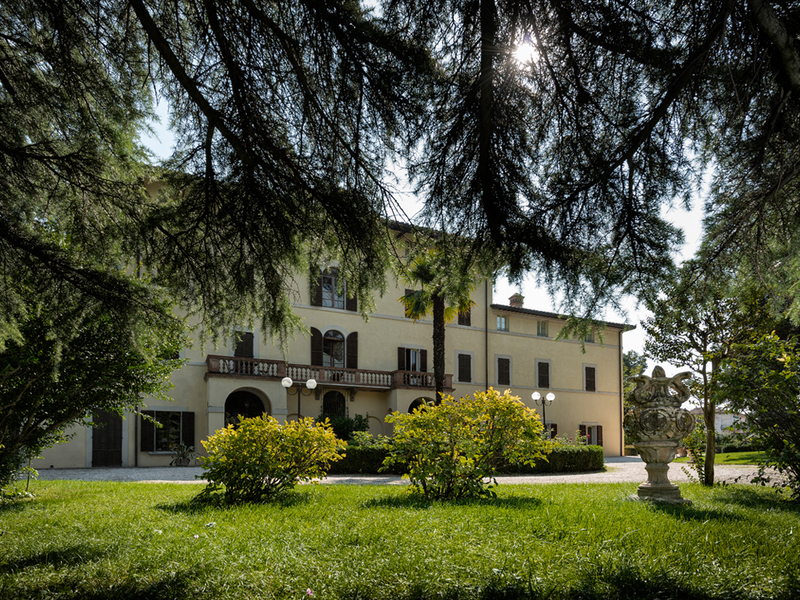 The residence consists of two houses: the main building Villa Costanza and Villa Laura, internally connected by a covered walkway with windows overlooking the park, and the Pantagruel restaurant, placed in the caretaker’s house. The property is also surrounded by 22,000 sq. m of private botanical park surrounded by evergreen vegetation. Of note: the mausoleum dedicated to the Countess Donini, dating back to 1850 and, in the same period, the dovecote completely painted in faux wood. 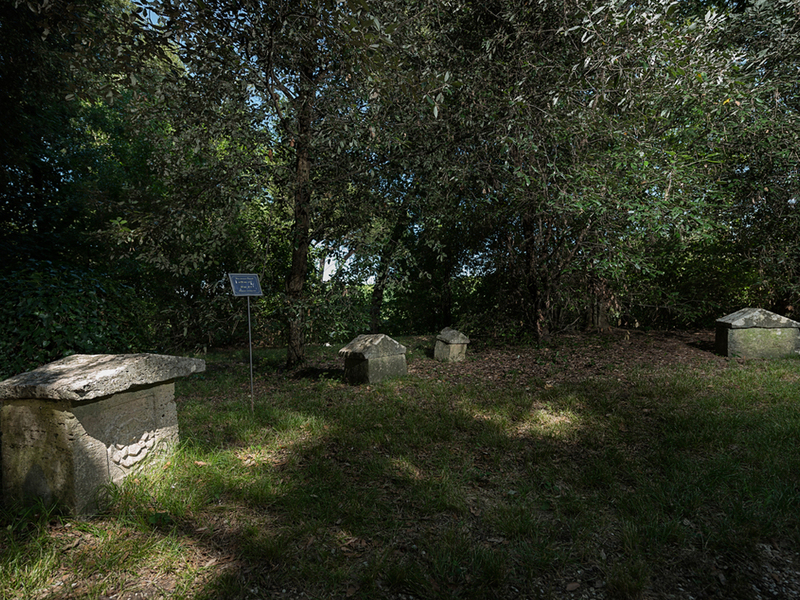 Along the avenue are preserved five Etruscan urns of the III century BC and in the main entrance are located six terracotta vases dating back to the eighteenth century. The rooms that make up the complex are forty-eight, and they’re of different types. 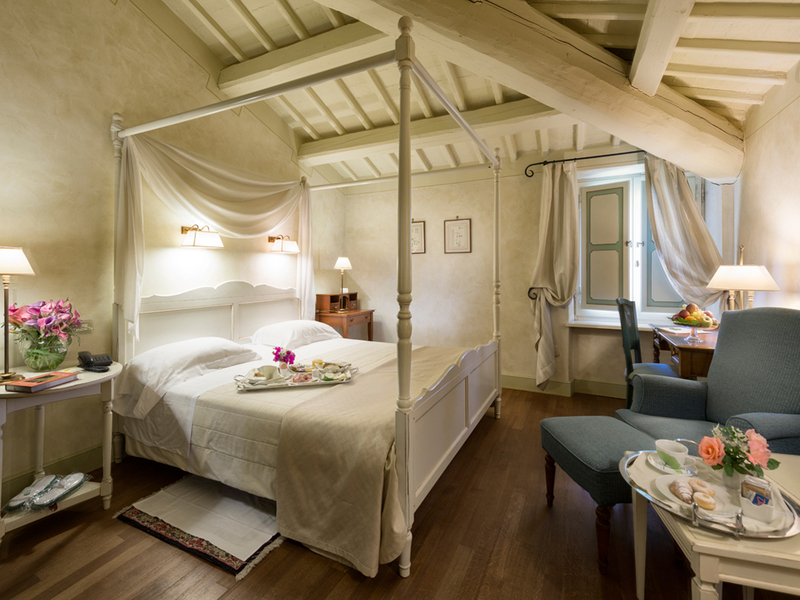 Frescoed, with exposed beams and four-poster beds. 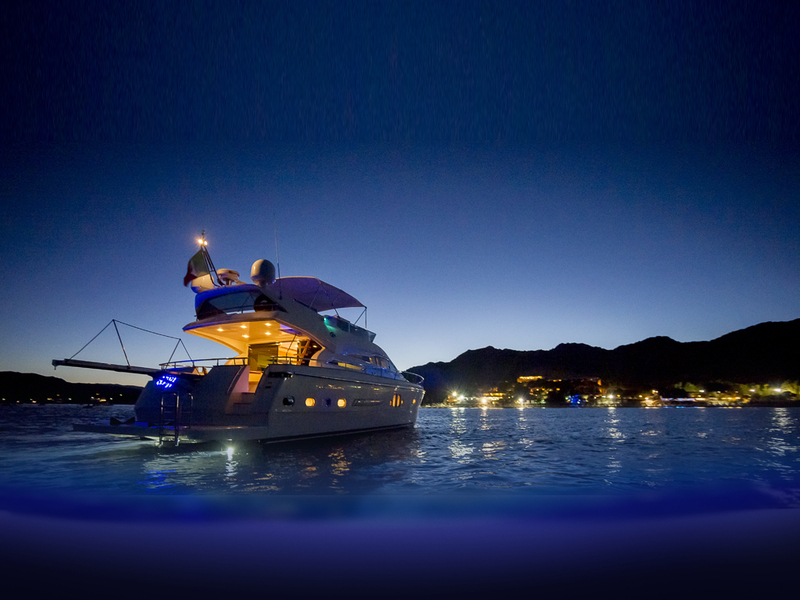 All characterized by extreme elegance and fine interiors. 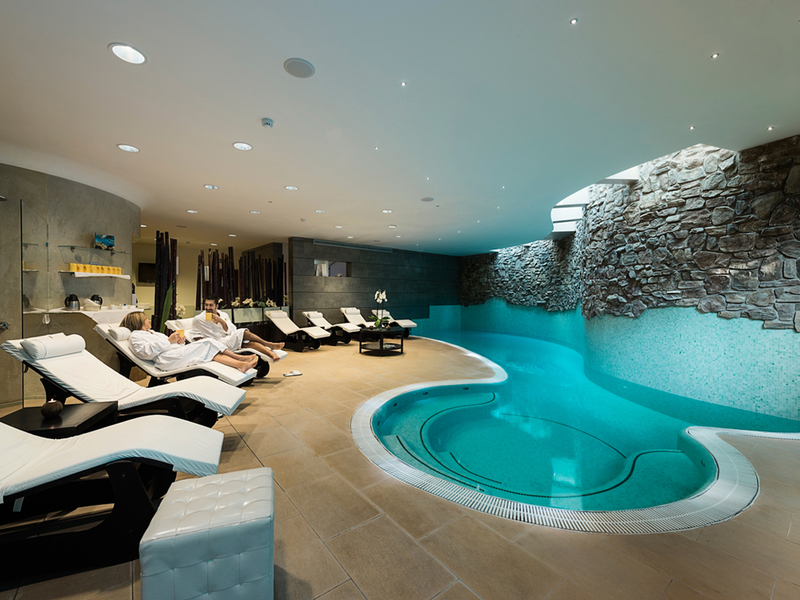 In addition there are eleven rooms of varying size, including eight frescoed, to accommodate events and Ginkgo Spa wellness center, opened in 2008, with heated pool and purified with sea salt. 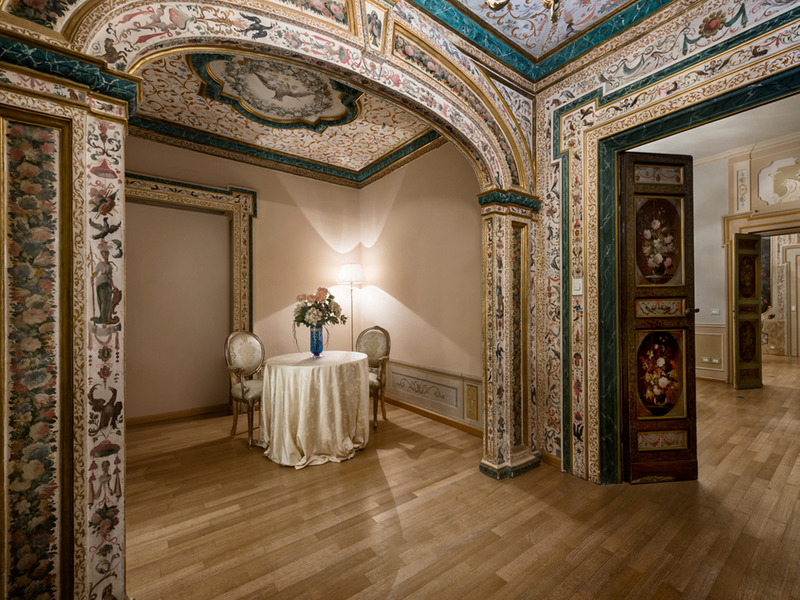 The exemplary maintenance of the estate, which differs substantially from other historic homes, is due to love and foresight of the Donini family that, from generation to generation, lived in this house until 1964, when the property was sold to a family from Perugia. 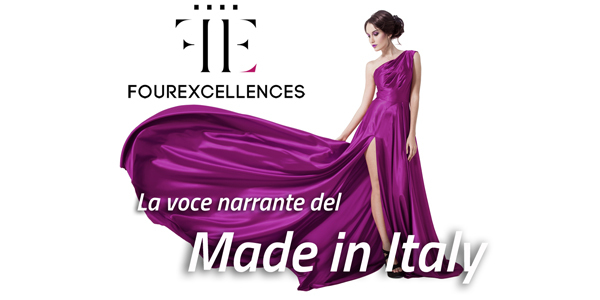 In 1999 there is an additional step, with the purchase of the villa from Eng. 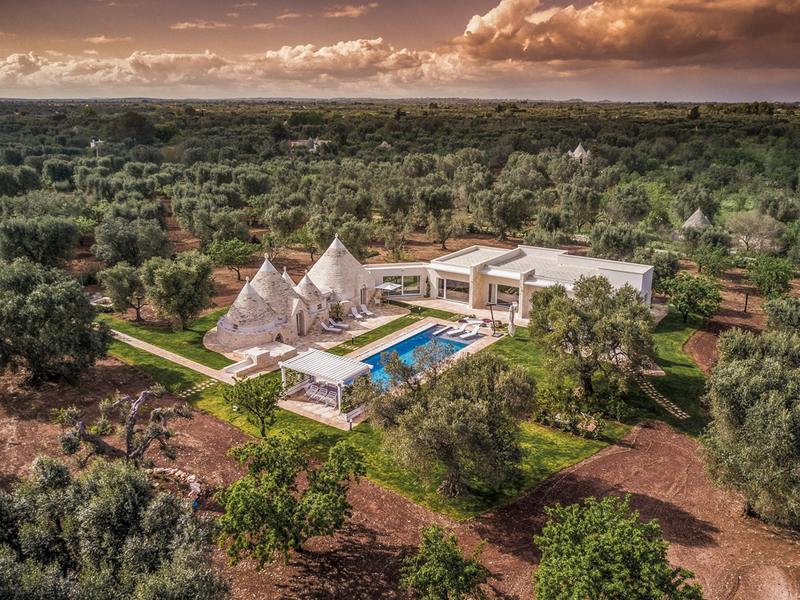 Ennio Mencaroni that opens it to the public as a luxury hotel. Classified as a historic home is constrained by the Superintendence for Cultural Heritage. With regard to excellence, it is not enough to know, but we must try to have and use it. Aristotle.